Costa Farms has hired Justin Hancock to fill the newly created position of consumer marketing and digital specialist. Hancock had been the digital content manager and garden editor at Better Homes and Gardens. According to Maria Costa- Smith, executive vice president of Costa Farms annual and perennial business, this position was created specifically to help transform the consumer experience at the retail level. “Our company initiative is to change the shopping experience in the garden center. Justin’s knowledge and passion for gardening will help us achieve this,” added Costa-Smith, a third generation grower at the Florida-based nursery. 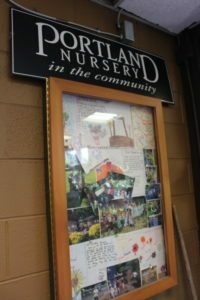 Hancock will be working directly with both marketing and research and development to create targeted retail plant programs to both attract and inspire gardeners – from first time homeowners to master gardeners. “Justin intuitively speaks the language of customers and the language of flowers. He knows and loves plants, has studied and written about what gardeners want, and has created a niche garden center catering to consumers of all gardening levels,” says Costa-Smith. In addition to searching the world for great new plants for the home and garden, Hancock will help create and manage Costa Farms’ digital properties, create rich content and direct social media. He will also serve as a corporate spokesperson. For more information about Costa Farms please visit www.costafarms.com.